The last return of our barbell anchor design on a limited print black tee. This style offers an athletic fit and longer length, perfect for guys or girls. These shirts are a combed cotton blend, unisex tee. Some shrinking is possible dried on a high heat. 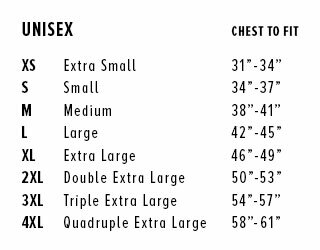 Size up if you want to avoid any shrinking/fit issues.